The makers of PHAS GAYE RE OBAMA are back with a satire titled SAARE JAHAN SE MEHNGA which is based on increasing prices of products in our country. Promos seems to interesting, let see what “Phas Gaye Re Obama” makers have in store this time. 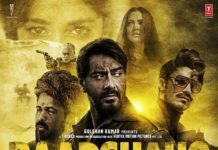 Saare Jahan Se Mehnga stars various TV artistes with Saurabh Mishra playing the lead role.Directed by debutante Anshul Sharma, Saare Jahan Se Mehnga is releasing this week along with Sahib, Biwi aur Gangster Returns. 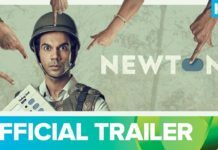 Newton Trailer Review: Rajkummar Rao never ceases to surprise us, does it again as Newton! 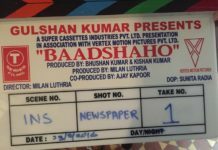 The shooting of Baadshaho begins today, Ajay Devgn to wrap it up in 45 days!